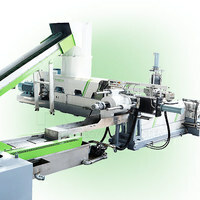 Compared with the primary design,the output of PURUI second generation film granulator machine has been increased 20%. 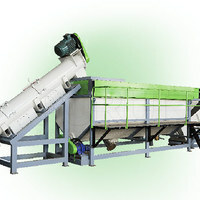 Material comes from off cut,defective film and washed film. 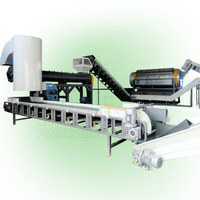 Note: depending on different material properties, various down stream equipments are needed. instruction, technician support forthe clients. 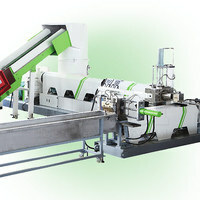 Running the plastic recycling machine before delivery. For most projects, once we know thenecessary information of the recycled raw material , we can provide you with a price quote within 24 hours. Because of the daily production capacity is very huge and shipping freight, our minimum order quantity is 1set,but we can help to do several color for choice. 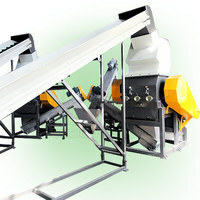 It is recommended for youto order a 20”GP or 40”HC to reduce the unit price and shipping cost. Zhangjiagang city Purui plastics&rubber machiner co.,ltd is acompetitive manufacturer in the field of producing plastic recycling machine. 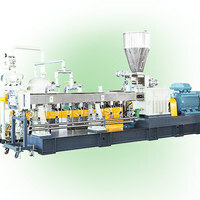 Such as plastic washing machine,plastic granulator,waste film recycling machine, agriculture film crushing and washing machine, rigid plastic recycling pelletizer machine,pp pe bopp pet plastic film granulating machine, waste hdpe pet bottle recycling machine, pp woven bag recycling (washing and granulator ) machine,pp non woven fabric pelletizing line, PA fiber pelletizing machine,twin screw compounding extruder, PET bottle flakes pelletizing line ,plastic crusher machine, plastic shredder machine etc.